It’s been nearly a week since the leaks about Gov. Bill Richardson’s being the probable secretary of commerce in the Obama administration, and I don’t think it’s really sunk into most of us what a huge change in New Mexico politics this appointment would be. We don’t have the official word yet — and the governor, the lieutenant governor and everyone else involved are being annoyingly, if understandably coy about the situation. I guess I let myself get bothered by little stuff like that to distract myself from the obvious: Assuming the big announcement is coming, there’s going to be a giant crater in New Mexico politics where there once was Richardson. “Put on your tennis shoes. You’ll be running to keep up,” was the advice that former Richardson staffer Butch Maki gave me shortly after Richardson was elected governor the first time in 2002. He wasn’t joking. I realized the first week of his administration — when North Korean diplomats came to Santa Fe to discuss nuclear disarmament with the governor of New Mexico — that this wasn’t going to be like covering a regular state government. For most of his first term, it seemed like everything he did was preparing his argument on why he should be president. I may be exaggerating a little, but in those early years, it seemed like he was having three press conferences a week, each one to announce some new “bold initiative,” and most of them beginning with remarks alluding to the historic nature of the occasion. Some of those bold initiatives turned out to be big deals — the Rail Runner and the Spaceport, for instance. Some seem pretty weird in retrospect. Statewide trials for Billy the Kid to see if the famous outlaw deserved a pardon? A pro football team for Albuquerque? I’m waxing a little nostalgic here because most of this truly was fun to cover. There’s things I won’t miss though. Trying to get information out of Richardson’s office was often a frustrating exercise for reporters working on a story that wasn’t part of his “message.” In recent weeks, for instance, Richardson’s office has seemed to have the attitude that it’s nobody’s business when the governor is out of state. He and some of his many press aides frequently were thinned-skinned if they didn’t like what a journalist was writing. Once last year, Richardson angrily told me I was the only one who said his performance in a recent debate had been sub-par. I’m not the only one saying this: It’ll never be the same around here once Richardson leaves. Interesting facts about the secretary of commerce: It’s no big secret the Commerce Department is a consolation prize for Richardson, who really wanted to be secretary of state. Some people have told me they believe this is a place-holding job for Richardson, who will move up when something else is available. That might be true. But if history is any indication, there’s only so far a secretary of commerce can go. Only one commerce secretary later became president. 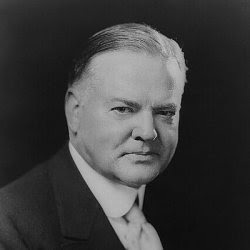 That was Herbert Hoover, who headed the department for more than several years under Presidents Warren Harding and Calvin Coolidge. Another commerce secretary was a vice president. That was Henry A. Wallace, who was President Franklin Roosevelt’s veep during his third term. Roosevelt dumped Wallace from the ticket in 1944. Roosevelt appointed Wallace as commerce secretary — apparently as a consolation prize. Wallace was fired from that job in 1945 by President Harry Truman. 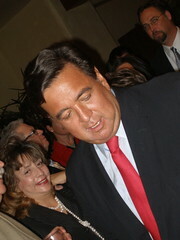 Richardson wouldn’t be the first Hispanic commerce secretary. That would be the current secretary, Carlos Miguel Gutierrez. And he wouldn’t be the first Commerce Secretary Richardson. That honor goes to Elliot Richardson, who was appointed to that position by President Gerald Ford. 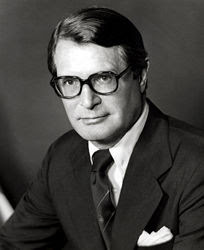 Elliot Richardson, however, is better known as the attorney general who resigned rather than follow President Richard Nixon’s order to fire special Watergate prosecutor Archibald Cox in what went on to be known as the “Saturday Night Massacre” in October 1973. The secretary of commerce is a relatively low-key position, but some secretaries ended up in tragedies or scandals. Ron Brown, President Bill Clinton’s first commerce secretary, died in a 1996 plane crash in Croatia, while on a trade mission. Nixon’s first secretary of commerce, Maurice Stans, who also served as Nixon’s campaign finance chairman, was indicted in 1973 for Watergate-related charges of perjury and obstruction of justice. He was found not guilty.